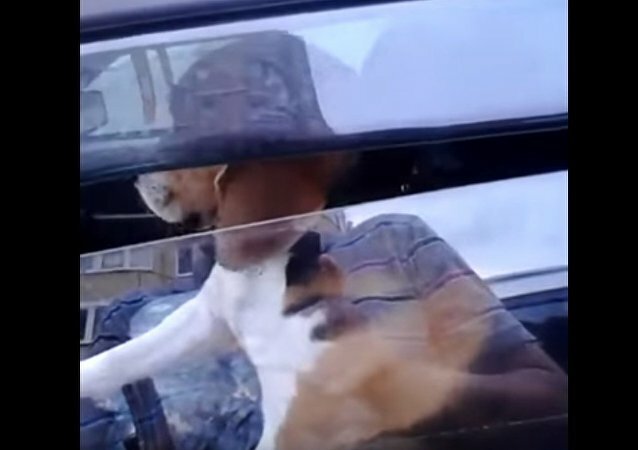 A touching video, where the dog, while waiting for his owner in a locked vehicle in a parking lot in Bryansk, presses the horn with its paws and melodiously sings along with it, has appeared on the Internet and collected 20 thousand of likes in less than 24 hours. Russian banker Alexander Lebedev, sentenced to a 150-hour term of community service penalty for a brawl with another businessman live on TV, has begun serving his punishment by building a children’s playground in a village outside Moscow. A Russian fire department official who specialized in teaching colleagues how to operate the fire engine will stand trial for setting up a marijuana grow operation in his garage, investigators said Tuesday. A geologist in Russia wanted for arrest by authorities in Uzbekistan is seeking political asylum in the western Russian city of Bryansk, a migration official said on Friday. Russian customs officers on the Ukrainian border on Monday seized 15 night-vision devices used in Russian army tanks.